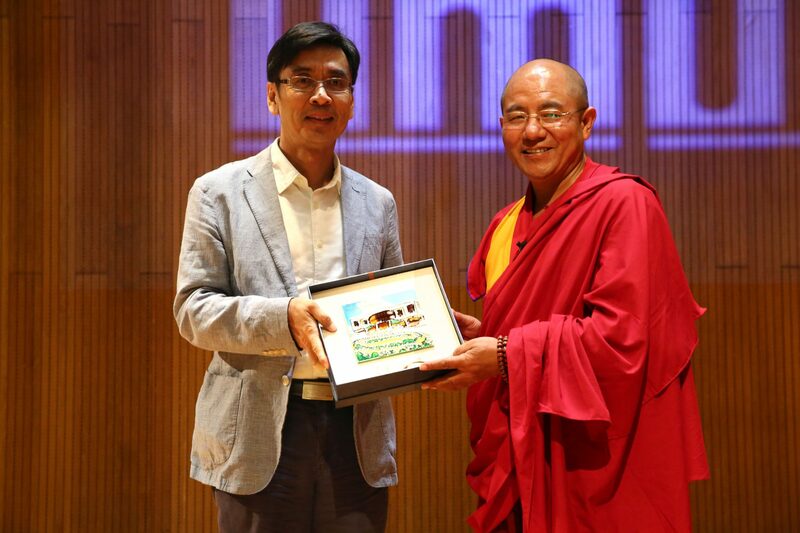 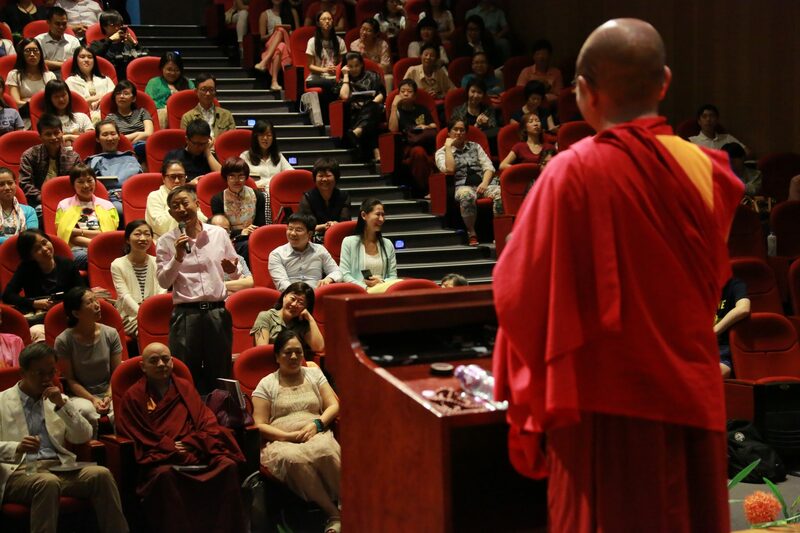 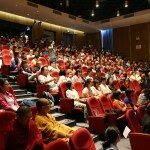 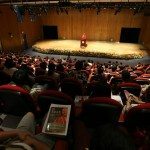 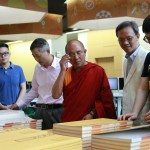 The Buddhist Society of the University of Macau Student Union (UMSU) and Stanley Ho East Asia College was honored to invite Khenpo Sodargye, one of the most renowned contemporary Buddhist masters, to speak on ‘How to Face Disasters’ in the afternoon on 9th June 2015 at the Student Activity Center Theater on the campus of the University of Macau. 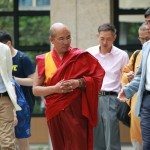 Khenpo Sodargye has served at the renowned Serthar Larung Buddhist Institute in Garze Tibetan Autonomous Prefecture in Sichuan Province since 1985. 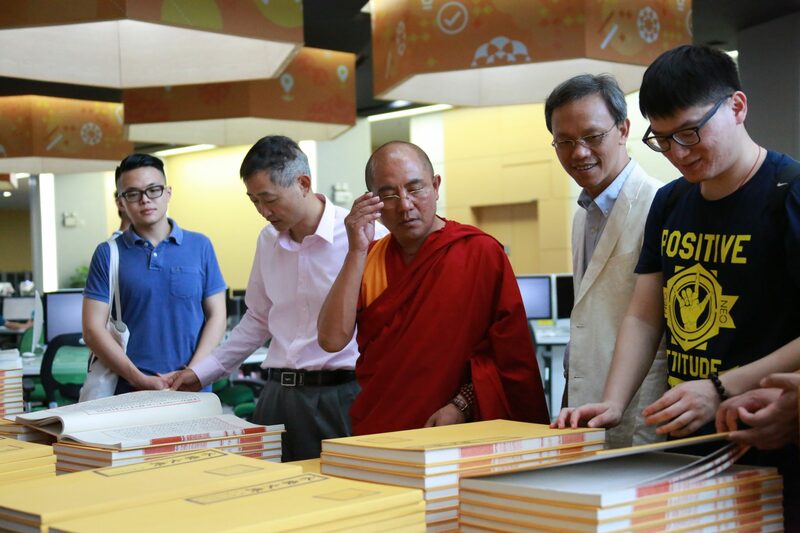 He is committed to writing Buddhist scriptures, translating Chinese and Tibetan classics, and promoting Buddhism. 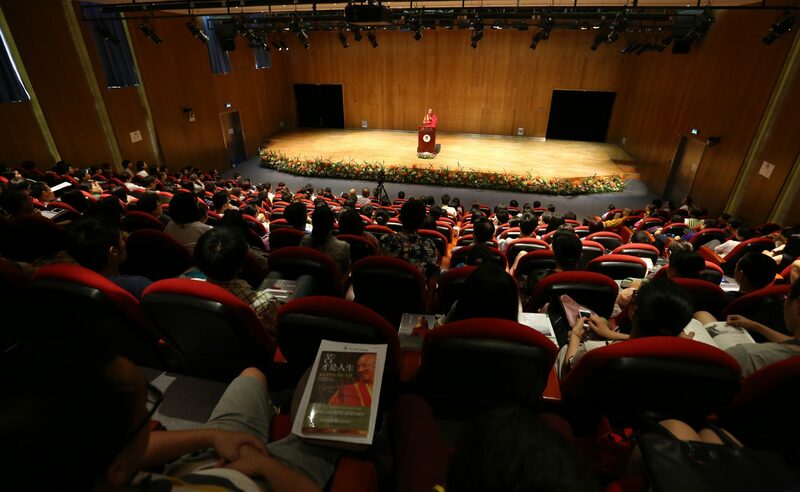 The theater was almost fully packed, with students and teachers from the University of Macau, the Macau Institute of Science and Technology, and the Macao Polytechnic Institute, as well as with local residents. In the talk, Khenpo interpreted the fragility and impermanence of life, as well as the various reasons of increasing frequency of natural disasters in recent years, and everything is derived from a cause-and-effect relationship. 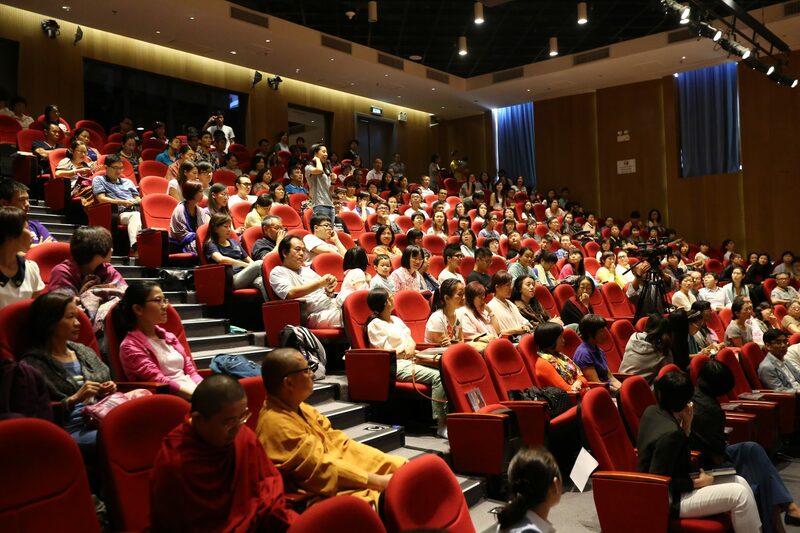 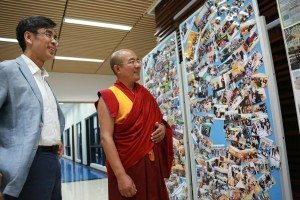 After the talk, under the lead by SHEAC College Master Professor Iu Vai Pan and students of the Buddhist Society, Khenpo visited the UM campus and the College. 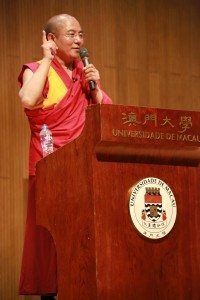 Khenpo praised the campus environment, and said that students and teachers of UM have gained a good fortune to have such a beautiful campus. 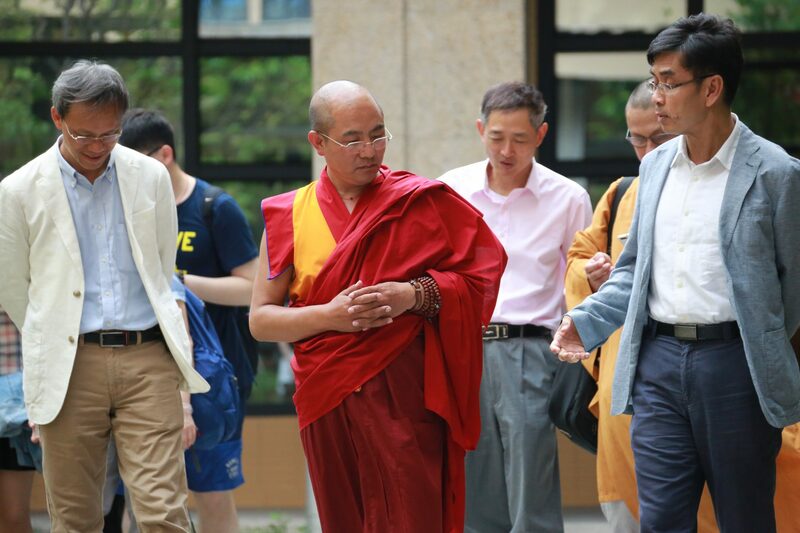 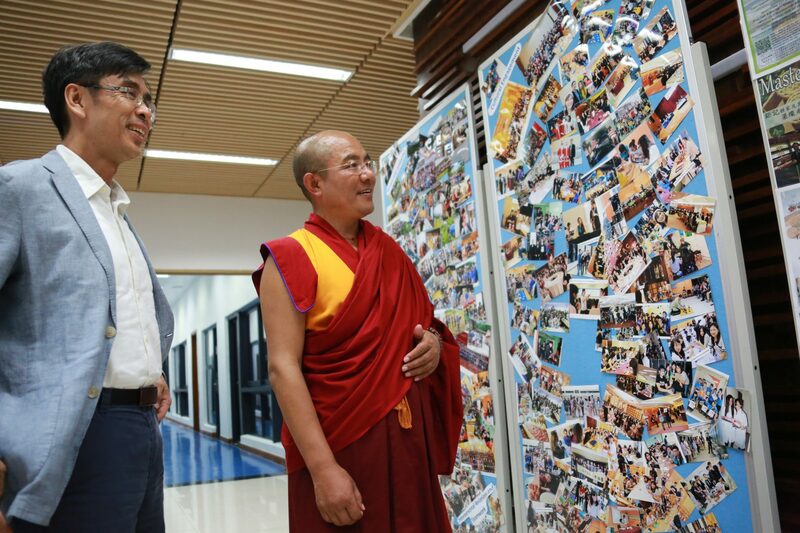 College Master Prof. Iu guided Khenpo Sodargye to visit the College.